A good combination of healthy fats, lean protein, carbohydrates, and micronutrients are generally what we think of when it comes to a healthy diet. While these are all important factors to our health, fiber is one that is often forgotten which is also essential to good health. 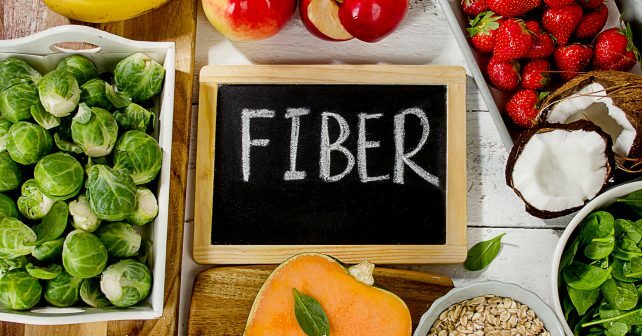 Fiber is the ingredient which binds our food together keeping us regular, helps to regulate our blood sugar levels, and keeps our cardiovascular system healthy. Fiber is an ingredient which many of us are severely lacking in, as our diets aren’t allowing us to get enough of this needed nutrient. Making sure that we get the right amount of fiber relies heavily on our diet, and the food choices that we make on a daily basis. Here are some of the most fiber-rich foods that we should all be eating more of. Artichokes top off the list because they contain the most fiber out of any plant source that we know of, providing us with a whopping 10 grams of fiber per artichoke. 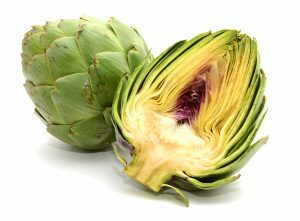 Considering that the recommended daily allowance of fiber is somewhere in the neighborhood of 25-30 grams per day, artichokes should definitely be a staple in your diet if you’re looking for more fiber. Raspberries already have garnered a reputation as a super food, as they are extremely anti oxidant rich, as well as containing a whole host of vitamins essential to our health. Not only are raspberries beneficial to our health in this respect, but they are also extremely rich in fiber as well. Your average cup of raspberries will contain approximately 8 g of fiber, which definitely as a significant amount. Toss some raspberries into your oatmeal, smoothie, or even your dessert to add some much needed fiber to your meal. This is another well known super food, as avocados are one of the only fruits we know of which is rich in healthy unsaturated fats. Not only are avocados beneficial to our heart health and that respect, but also in that they contain a significant amount of fiber as well. You can find up to 7 g of fiber per serving of avocado, which is typically half of the fruit. The next time you thinking about shouting down on a bag of chips, or grabbing some Mexican food, make sure to get some guacamole to go along with it. White rice, white pasta, another white grains have developed a bad reputation as of late. These foods can wreak havoc on our blood sugar levels because of the high amounts of carbohydrates they contain, along with a lack of fiber. The difference between brown rice and white rice is that during the processing of white rice, it’s Hoskins is removed. The husk of the rice is the outermost part which looks browned, the part of the plants which contains the majority of the fiber and nutrition. The majority of the other portion of the rice consists of carbohydrates, while lacking fiber. Conversely, brown rice contains this outer husk and in turn a good amount of fiber. 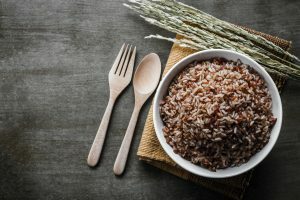 One couple brown rice can contain up to 4 g of fiber, which is a tremendous amount when compared to its white rice counterpart which only contains about 1 g of fiber per cup. Prunes are well known for their ability to quickly relieve constipation, which is partially due to their fiber content. The high amount of fiber a long whiff the sugar alcohols found within prunes give the prunes their ability to effectively flush the system. Those are so effective in doing so because of their high amount of fiber, as they can contain up to 12 g per cup. While programs are definitely a preferred, if you can’t find them plums can be an adequate substitution. Oatmeal is just one of those foods which is absolutely perfect for breakfast, it contains a good amount of complex carbohydrates, protein, fiber, as well as other micronutrients which helps to keep us full and keep our energy levels steady throughout the day. This food contains approximately 8 g of fiber per cup, which is a little bit more than a serving for most people. Oatmeal is also great food that can be used as a quick meal replacement, which is a great way to increase your intake of fiber. Flax seeds aren’t only an excellent source of omega 3fatty acids, omega 6 fatty acids, vitamins and minerals. They also contain a significant amount of fiber, up to 3 g in just 1 tablespoon. This food is a perfect the additive which can be used in a variety of meals. It can be added to oatmeal, yogurt, or can be baked into muffins, pancakes, or even bagels. Potatoes have been under fire as of late, as they are generally viewed as unhealthy at least in the forms in which we consume them. French fries and other variations of potatoes which revolve around frying them an unhealthy oil or using some other additive can definitely make the food extremely unhealthy. The reality as though that in their natural form potatoes are in extremely nutritious and healthy food. Potatoes are rich in potassium, vitamin C, B vitamins, as well as being a good source of fiber. You can expect to get approximately 5 g of fiber from your average potato. Navy beans or white beans as they also are commonly referred to, are an excellent source of fiber. These beans contain almost 20 g of fiber per cup, amounting to more than 50% of what the average person needs daily. Navy beans are also an excellent source of fiber as well as protein, iron, another micronutrients. Navy beans are also very versatile and that they can be used in salads, pastas, and a wide variety of other dishes. Making split pea soup requires minimal effort in doing so, and comes with a whole host of benefits. Just 1 cup of cooked split peas can yield up to 16 g of fiber, making them another excellent source of this nutrient. While split peas are mainly used in soups, you can also used them to make burger patties, risotto, and other variations as well.